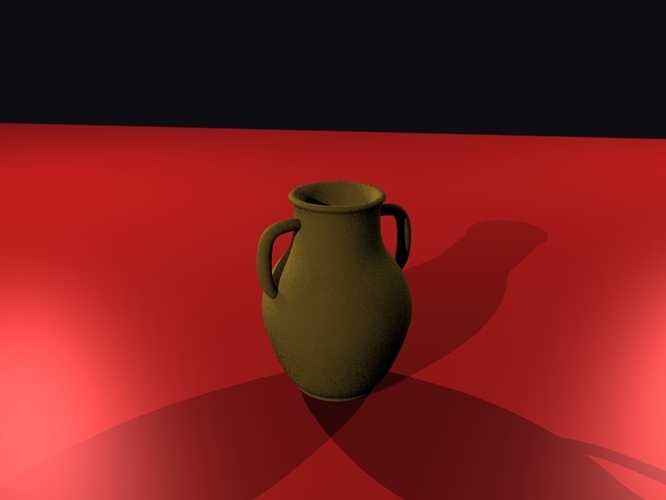 I decided to try to make an amphora. The image is attached to this message. How do I make the amphora look more liked fired clay? I’d like to do it without using a UV map if possible. What is the best method to make the handles look like they’re truly a part of the main body? Is there a method to extrude faces along a path? i can help you with the fired look. on the materials add a new texture and select clouds or musgrave and set it to what you think looks best then map it to a blackish colour. instant firing!